We are delighted here in Lilliput that Sonia from the Westmeath Sports Partnership, is offering her invaluable experience in making this event a truly professionally run, and well organised race. We are also delighted that Westmeath Community Development are offering assistance. This course is designed by Franky Wright who has worked in the provision of outdoor education for over 30 years. Along with his wife Trish, he currently runs the Lilliput Adventure Centre. He was accompanied by his climbing partner and good friend Paul Mc Quaid. They have both climbed mountains all over the world and are the current holders of the record for climbing the highest peak in every county in Ireland, 5 days. Paul is the Director of Paramedic training in Sydney Hospital and has been adventure racing in Australia for almost 10 years. Gerry McQuaid an accomplished runner and coach who studied in the states, also offered his expertise. Gerry most recently coached the Wexford senior & intermediate ladies camogie team to an historic All Ireland double. He currently teaches PE in Waterford. 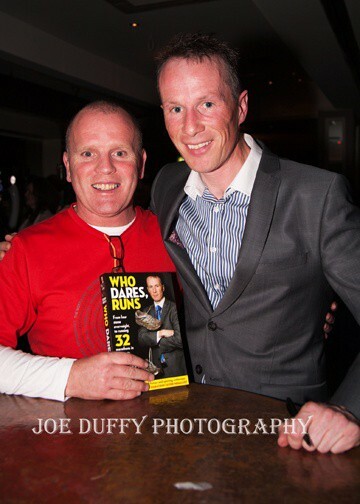 Gerry Duffy of 32 marathons in 32 days is racing. He is also the current DECA man champion and the “Westmeath Sports Person” of the year. No doubt all eyes will be on Gerry as he takes on another, in his unending list of challenges.